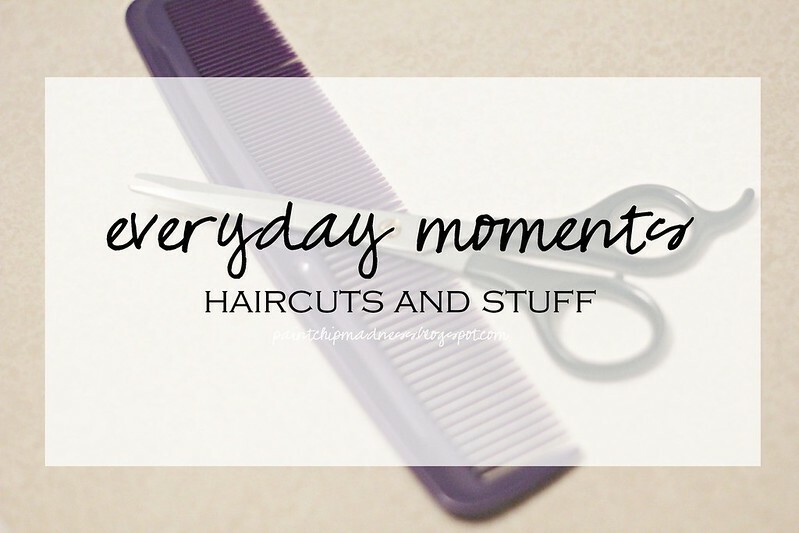 EVERYDAY MOMENTS: HAIRCUTS AND STUFF. I've been hinting at the fact that a haircut has been much needed for this girl over here. It had been more than 6 months since my last trim and let's just say it was turning my head into one hot mess. Which, as a total sidenote, is completely true if you have dark-colored hair and sit in the sun too long--emphasis on the hot part). Anyway, my sister and I are on summer mode, so she offered to trim the long locks of yours truly. And seeing as I'm a teacher on a budget, I said yes a thousand times over. Some of you are probably cringing and scrolling through my post to see the photos, but don't you cringe, my friends. My sister has actually cut my hair before and I completely trust her with the scissors. She's actually quite the natural and has told me she's watched people cut her own hair for some time now (I guess I never did?). I have to say that I was a little unsure about the whole thing. It's not the I didn't trust her, I was just unsure if I actually wanted to let go of all that hair. You see, I'm not too keen on change and like wearing braids and top knots and all that fun stuff. But I also enjoy using less shampoo and being able to have my hair dry quickly. So after she was done, I ran my hands through my hair and was pleasantly surprised (as always). My sister thinned out the ends of my hair and I couldn't help but fall in love with the new look. And because I'm a thinker, it really got me to thinking about change and how change is good. It may not be the change you want, but changes can bring new opportunities, new experiences, and new challenges, too. And if you're talking about shorter hair, a challenge entails trying to fit all your hair into a high ponytail. Change is also better once you just do it. Anticipation always gets to me and sometimes I just need to close my eyes and dive in (or let sisters do it with/for me!). It also reminded me that we have to just let go sometimes. We have to let go of fears, of the weight that holds us down, and the things that prevent us from growing and moving on. And as that oh-so-famous Disney song goes, we have to just let it go. So, have you learned any lessons from an everyday moment lately? Did you ever think I'd learn so much from a haircut? Yeah, me neither. p.s. Tomorrow is The Circle! We're talking all about Throwback Thursday (think old photos and old posts!). It's going to be a lot of fun and I cannot wait for you to join in. 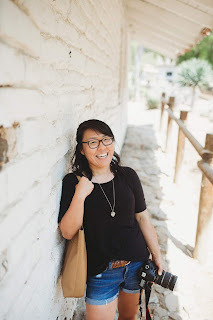 Come celebrate the 1 year anniversary of this link-up with me! See you then! Until about two weeks ago, I hadn't had a haircut since September. It was one of those things I always meant to do, but never got around to doing. That's how I was! It was pretty much at the bottom of my to-do list. But now that I've got more time, it's made it a lot higher on the list and I finally got it done. I let my sister cut my hair for me too! The last time she asked what would happen if she messed up and I replied go pay a professional to fix/cut it. Her response was oh good I thought you'd sneak into my room while I was sleeping and cut my hair. (She did a great job so she worried for nothing). Isn't it nice to have sisters to cut your hair? My sister has been cutting my hair for awhile now and I actually like how I don't have to tell her what I want because she knows exactly what I like with my hair. I've had some bad experiences with going to professionals, so for now, this is how I'll do it. :) And it sounds like you and your sister have similar relationships as my sisters and I do! Sisters are the best, right? I know all the stylists will tell you you two are crazy....But I am not one so I can give you a hugh five! I think it's awesome that your sister has the confidence and you have the trust! :) And your summer cut is cute! I'm growing mine out right now - no matter what...And I'm FIGHTING the urge to cut in bangs. I'm thinking my bangs haven't been the length of my shortest layer for most of ten years. And I'm ready for the circle for sure! :) See you tomorrow. And thank you! I know a lot of other people who are trying to grow out their hair, but I don't have the patience for it anymore. :) And I could definitely see you with bangs! Have you ever had bangs before? Aw, thanks! I think my sister did a pretty good job. :) Yes, change is good! It's something that I think I need to push myself to do, but it always feels good after I've let go of the nerves of it all. And if you get a haircut, you'll have to share some photos! Oh, and thank you! I never imagined that The Circle could last this long, but I'm still loving it and am looking forward to this second year of it! Exactly! I used to think it was weird to see people cry over getting their hair cut (i.e. on What not to Wear) but this past time, I was really conflicted about having it cut. But I'm glad I just went with it because it's really nice to have a change. :) And I'm impressed with your patience! I'm pretty sure I would have just gotten my hair cut after a few months! I'm excited for the circle! yay = and it looks lovely! i'm always nervous to cut/trim my own hair or even go to a different hair dresser...having curly hair requires the "right" technique that many people have no clue about haha. i'm all about new experiences though! so bravo! And I'm always a little nervous about hair cuts, too. 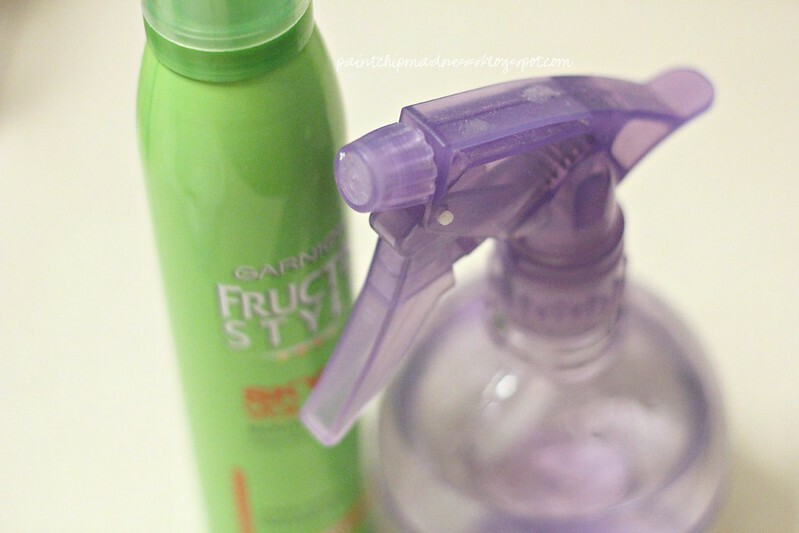 Even though I don't have curly hair, having extra thick hair (that has a mind of its own) has put me through some not-so-great experiences with hairdressers. But fortunately, my sister knows exactly how I like my hair so it all works out!